Students work out math on iPads as they would on normal paper. Highly visual and interactive assignments to keep students engaged. Our Point of Learning Analytics allows you to “peek-into” every key-stroke and pen-stroke of each student, enabling teachers to create personalized reports that can be sent to anyone – with a single touch. "Interactive Mastery Matrix", aligned to CCSS standards, enable teachers to provide students with tailored assignments to bridge gaps. Choose assignments from our repository of CCSS mapped content or create your own. Tailor assignments for each student. We provide a strong foundation to learn math concepts with content aligned to Common Core Standards. Teachers can also create their own CCSS aligned content using our content authoring tool. Gamiﬁed learning with points and badges earned for consistency, fluency and accuracy makes learning fun. Ask us about the amazing results amongst school students across the globe. Teachers can record their own video tutorials, in any language, for students to review in class or at home. Quickly enables you to teach multiple problem solving strategies. Better yet, everything that any teacher creates in your school district is available for you to use. One of the most out-spoken criticism against early childhood educational systems experiencing low matriculation is the high teacher to student ratio. Now with Thinkster, you can decrease that ratio significantly. Thinkster acts as a teacher’s assistant for each and every one of your students! Engage your students and hone their math skills in an interactive and proven way. Achieve all of this while also improving teacher productivity with our advanced reporting system enabling personalization for each and every student. Thinkster is a powerful learning tool aligned with the Common Core State Standards that can be easily integrated into your students’ math curriculum and revolutionize the way they interact with math. "The Thinkster program has great potential to provide quick and easy access to the data analysis necessary to be an effective teacher. Due to the program’s ability to customize worksheets and video, the teacher can provide direct instruction to her students, even when she can’t work with them 1:1. Additionally, the teacher can see all of the work the student does, not just the answer, which is the typical range of response for most computer programs. The program is engaging for students and can keep them interested beyond the typical classroom workbook. We have seen excellent results with our students so far. They are motivated and excited and can't wait to get on the iPads to start working. We are getting three times as much accomplished in the same class period as before!" "Dynamic, interactive, mobile learning environments, such as Thinkster, are the focus of current and future educational research. Thinkster has shown proven results in classrooms and independent work. Student learning is accelerated, which enables prioritized feedback and communication with the teacher. Curricular advantages have been identified in students ranging from those requiring IEPs to accelerated. Thinkster is the most advanced technological tool currently available to students, teachers, schools, and school districts." "As technology has gotten a reputation for digitizing and therefore de-personalizing education, more and more educators and students are seeking technology that re-establishes the human connection. Thinkster is one company that is leading the way." Executive Director, Math Inquiries Project. 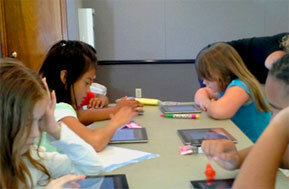 "With the Thinkster Math Program, many of the children were achieving mastery of grade level concepts. 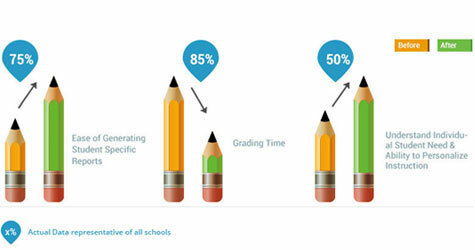 The average accuracy rate for all students was 95% with a range from 80% to 100%. Several children moved into next-grade level assignments. I feel like I am a part of something special, something important." Instructional Support Teacher, Greenbrook Elementary School, NJ. "Thinkster, a technological step in the right direction. A teacher's prayer for a functional math assistant...heard and answered." Teacher, Barracks Road Elementary School, Jamaica.